Combine the pumpkin cubes, ground cumin and olive oil. Spread pumpkin mixture out in one layer on a tray and roast in the oven for 20 minutes or until tender. Bring a saucepan of salted water to the boil and cook beans for two minutes, so they retain a good crunch. Refresh in cold water to halt the cooking process and ensure the bright green colour is maintained. 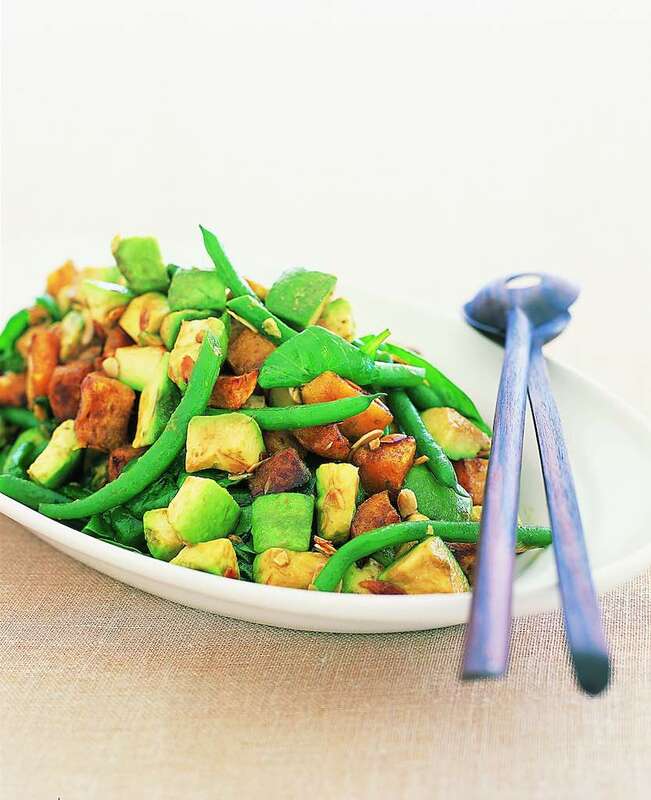 Place pumpkin cubes and green beans in the serving bowl. Add the spinach, avocado, orange, macadamias and dressing to the serving bowl and toss to combine.